When utilizing the Special Order module with Acctivate, you have the option of creating a separate warehouse for these orders. Special orders can be shipped to a designated warehouse and received into that warehouse, in order to isolate these items from other inventory. To do this an additional warehouse must be defined in the system and assigned to the products. 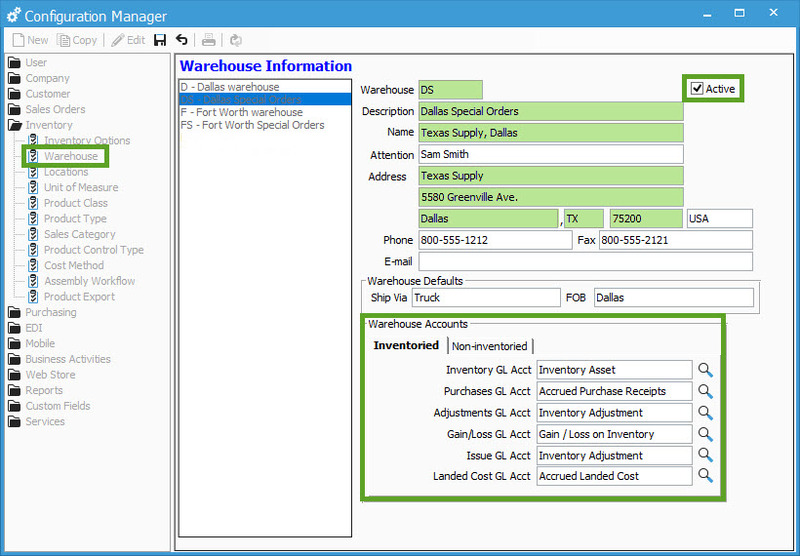 The system administrator can also set this as a default Warehouse for special orders related to each Branch. 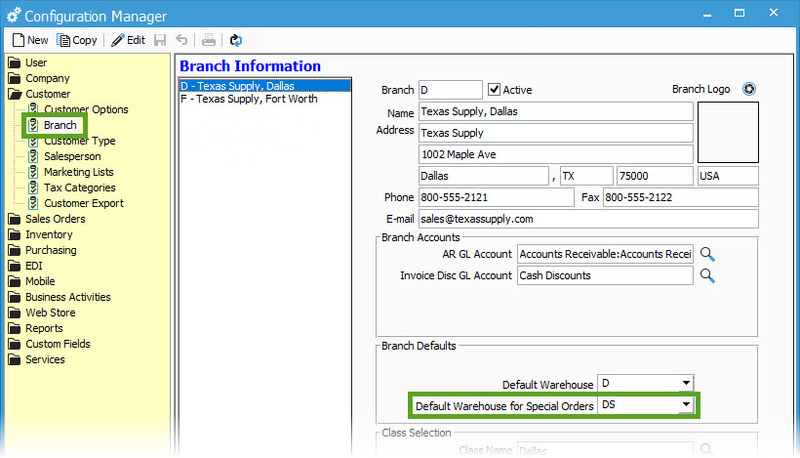 In order to have the appropriate warehouse selected throughout the special order purchasing process, the new warehouse can be set as a default when designating special order items specific to each Branch. Choose the newly created Special Order Warehouse in the Default Warehouse for Special Orders drop-down menu.